Neck cracking is a term with 2 distinct meanings to patients. The first implies sounds made naturally by the neck during movement. The second implies forced cracking of the neck joints, such as during chiropractic treatment. Learning about these cracking or clicking sounds heard upon either activity is interesting for many neck pain sufferers. So many patients write to us each month asking about the significance of these noises, so we decided it was time to write a dedicated article covering the topic to enhance your understanding of cracking or grinding sounds in the neck. Noise may be due to muscular, ligament or tendon interaction with bone. Noise may also be produced when two or more bones come into contact with one another. This particular scenario is common in the cervical spine, since osteoarthritis, facet syndrome and other degenerative processes are almost universal and involve the wearing away of protective mechanisms in the spinal joints which would normally prevent bone to bone contact. Sound from internal anatomical surfaces rubbing together is often called crepitus. Sound may also be produced occasionally from gas escaping from the joints of the spine. This will explain occasional loud popping noises, but will not explain constant recurrent grinding or clicking noises heard upon movement. This process of gas liberation from joints is known as cavitation. When a person receives a chiropractic adjustment, the pressure in a given spinal level is raised quickly, then instantaneously released. This causes a vacuum effect in the joint, followed by gas release, known as cavitation. In some cases, patients may also hear grinding or cracking noises due to crepitus, when the adjustment forces two or more internal anatomical components to rub against one another. This may occur due to disc pathologies, arthritic deterioration, vertebral misalignment or abnormal spinal curvature. In most cases, there is no significance to the noise, although in rare cases, the sound may be indicative of something which may be problematic in the spinal column, especially when pain accompanies the noise each and every time the spine is adjusted in a particular location. 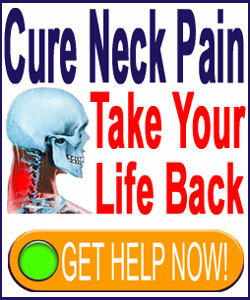 A grinding, cracking or popping sound in the neck is very common. I get them all the time. In fact, I can not turn my head side to side without hearing a steady grinding sound, like 2 heavy stones turning against one another. I also get occasional sharp pops in the left clavicle region, accompanied by sudden shocks of discomfort. I am sure this is some type of soft tissue condition related to neck tension in my own case. The grinding is surely the result of the many disc and bone issues I have in my cervical region. All my discs are herniated here and there is some substantial vertebral degeneration in place, as well. To learn more about why you have a popping, grinding or cracking sound in your neck, consider talking to your doctor. I am virtually sure they will not provide nearly the same degree of detail as this article, but then again, maybe they might surprise you with some insight. Best of luck.